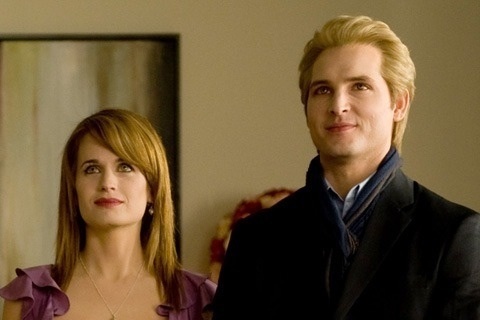 Do আপনি think Carlisle Changed Esme because he was already in প্রণয় with her? Who treats the man they প্রণয় better? Which hairstyle do আপনি think স্যুইটস্‌ Esme? What kind of relationship do আপনি think they have? Disclaimer: The Twilight Saga and all its scenes and characters belong to their respective owners (Stephenie Meyer, etc.). লেখা this fanfic I don't mean anything than entertain with non-profit. "Why can't আপনি see that I প্রণয় you? I প্রণয় আপনি আরো than I've ever loved anyone before. I প্রণয় আপনি আরো than my own life. I প্রণয় আপনি আরো than anything. I প্রণয় you. Why can't আপনি see it?" My stomache hurt as the days passed.Sadly It was the say দিন of the wedding.Aro came in to check up on me to see if I was okay,"hello honey" he told me i tried to ignore the fact that i was going to marry him.it was time to get ready. I got nauseaus as I walked down the isle.All of a sudden carlisle came in.Jane put himdown and dragged him to the dungreon.I started to cry.Aro said"if আপনি dont be quiet i will kill আপনি know say i do. "I DO,we were officially married.I wanted to cry but i holded back the tears.We left to a weird little cottage.Ireally hate আপনি now Aro. I tried to slap him,but I missed.He told me"Why did আপনি try yo slap me".Beacuse I don`t প্রণয় আপনি I প্রণয় Carlisle.He Was about to slap me again but one of the wedding planners came in to ask me questions.Aro walked out with a mad face.The wedding planner asked"do আপনি really প্রণয় that man". "No Im`m being forced to অথবা he will kill me".After an ঘন্টা she left the room.I saw Aro waiting in the hall for me.He asked me "Are আপনি okay". "I`m not your wife im Carlisle`s".I started to put on some dresses for the wedding.In 38 hours I will be married to Aro. a comment was made to the poll: Which hairstyle do আপনি think স্যুইটস্‌ Esme?